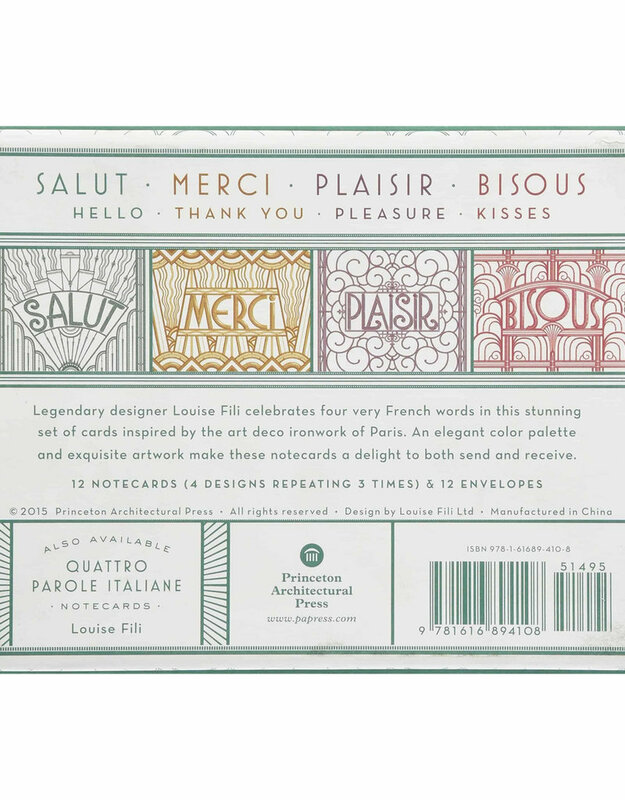 From graphic design phenomenon Louise Fili (Elegantissima, Grafica della Strada) comes another striking set of notecards, on the heels ofQuattro Parole Italiane, this time inspired by the Art Deco ironwork of Paris. 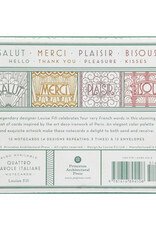 Four popular French expressions?salut (greetings),merci (thank you), plaisir (pleasure), bisous (kisses)? 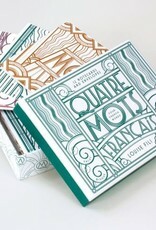 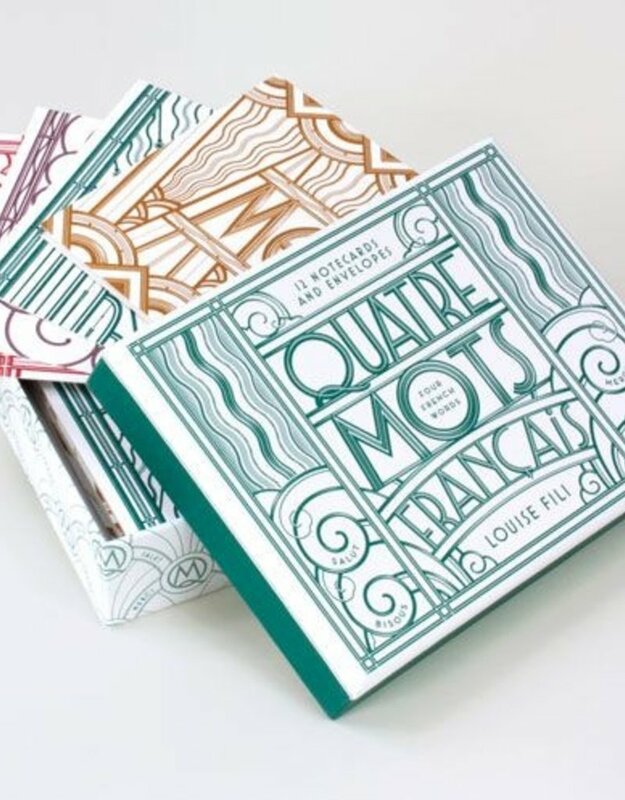 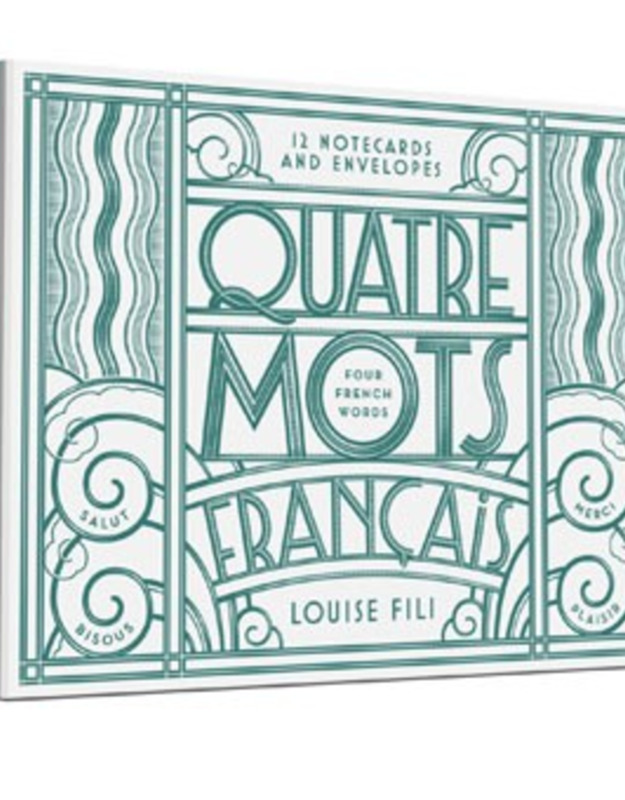 are framed with gorgeous graphics and colors, making the cards a delight both to send and receive.Quatre Mots Français is a must-have for Francophiles, designers, letter writers, and any combination thereof. 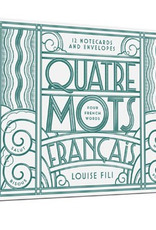 A story from Fili on her inspiration for the set is enclosed.